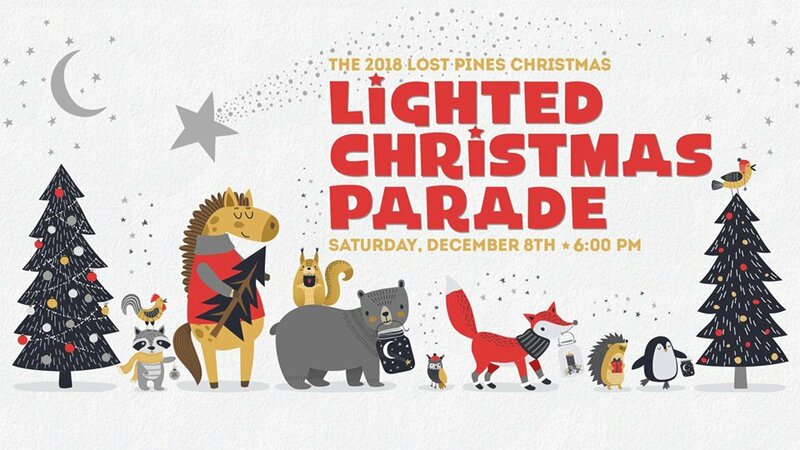 Bastrop’s fanciful, fantastic, fun—and even famous—annual Lost Pines Christmas Parade will light up the night skies as it makes its way down Main Street on Saturday, December 8th. 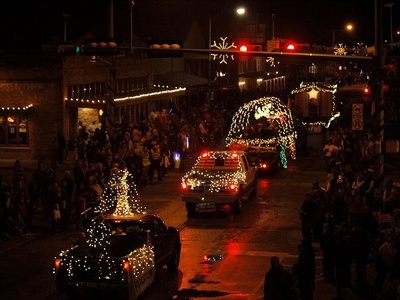 If you were in on the fun last year, you know first-hand it’s an experience not to be missed…or—if you were a participant—it’s not too early to gear up for this year’s fun. 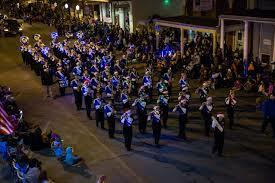 If you missed last year, we’ve got an experience that you, your family and your friends will remember for a lifetime. 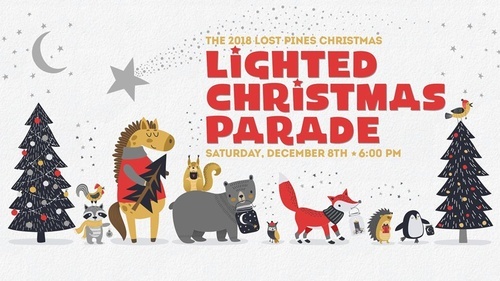 It’s Bastrop’s famous Lighted Christmas Parade on Saturday, December 8th, 2018, an absolute highpoint of the Lost Pines Christmas season. 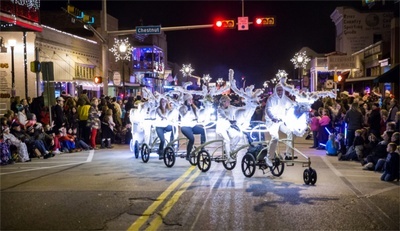 More than 100 entries—from fanciful floats to fire trucks, from Honey Bears to longhorns, from Santa’s helpers to the man himself—will light up the Main Street night for this joyful Bastrop tradition, produced by the Bastrop Downtown Business Alliance and the City of Bastrop. 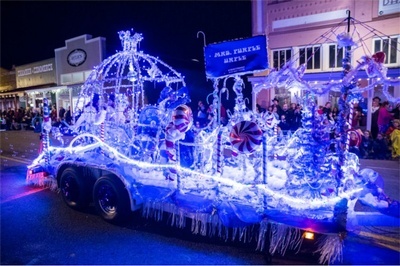 With festive lights blazing and music in the air, this year’s parade taps your vision—celebrating the message, magic and memory of Christmas through your eyes: what Christmas means to you. Sugarplums and sparkles, sights and sounds, cherished moments of Christmas past, or bright hopes for the future, it’s yours to express.